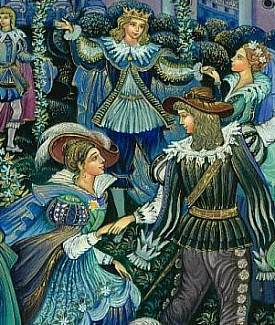 This box depicts a German fairy tale by the Brothers Grimm which you can read here. 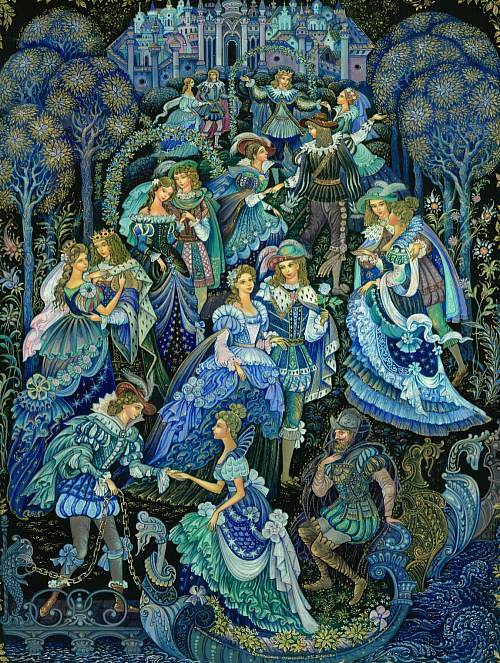 In beautiful shades of blue Smirnova beautifully depicts the festive atmosphere of the ball. Each costume is meticulously drawn, no two are alike. The kingdom and trees in the background provide the perfect setting. Magnificent!